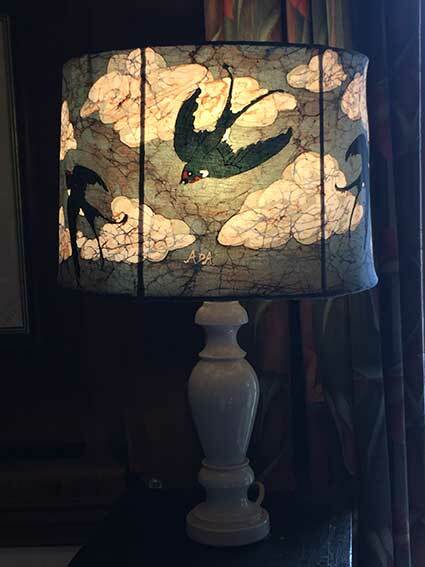 I was commissioned to make this Swallows and Clouds lampshade by my sister Judith for her first grandchild, my great niece, the very beautiful Ada. It hangs in her nursery and I'm told she loves it. In exchange for me making the lampshade, Judith has built this excellent website for me - each of us using our special skills and time for each other. Thank you Judith - I think I got the easiest task!